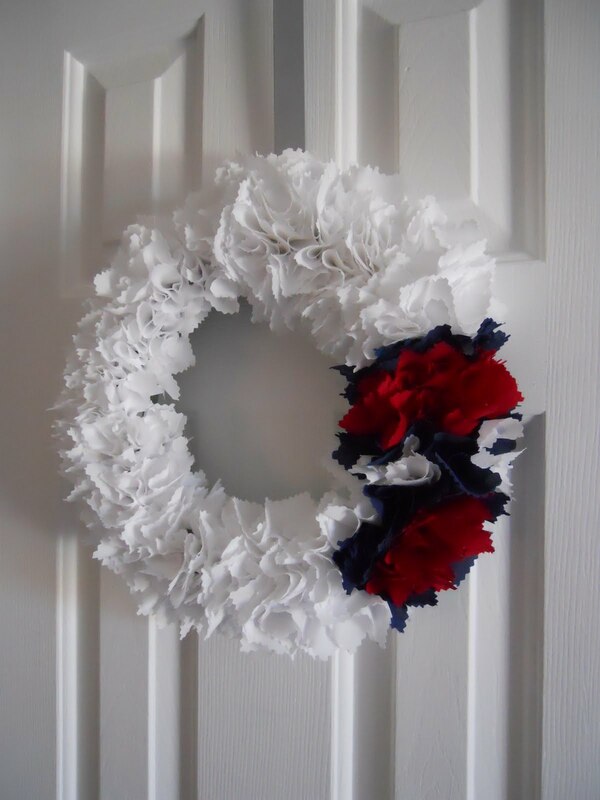 Wreaths are always a great, easy way to decorate for any occasion or holiday. 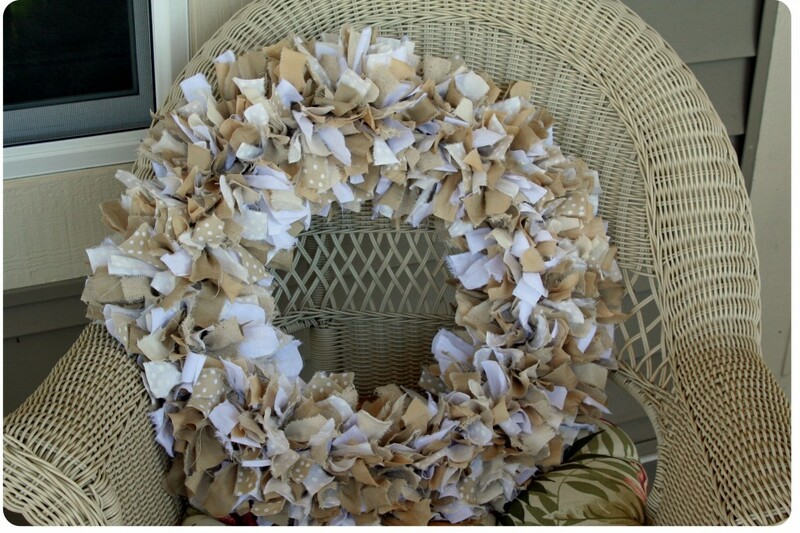 You don't really have to be great at decorating to be able to pull off a good wreath, and that is why I like them. 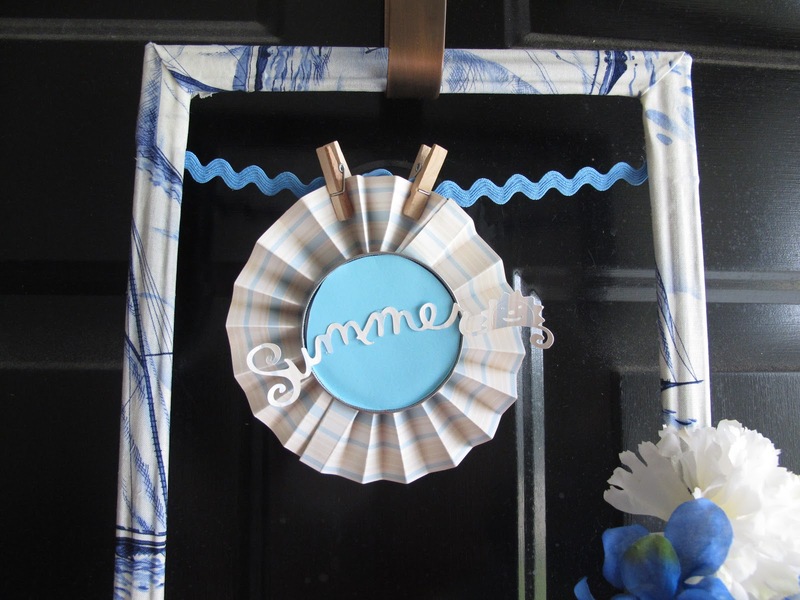 The wreath that I made around Christmas was still up on the door until very recently, so I thought it was about time I put something summery up there. Most of my materials for this wreath were from the dollar store. The rest were things that I already had lying around the house. It's always pretty satisfying when I make something that is almost completely free. It probably makes Curtis a lot happier too! 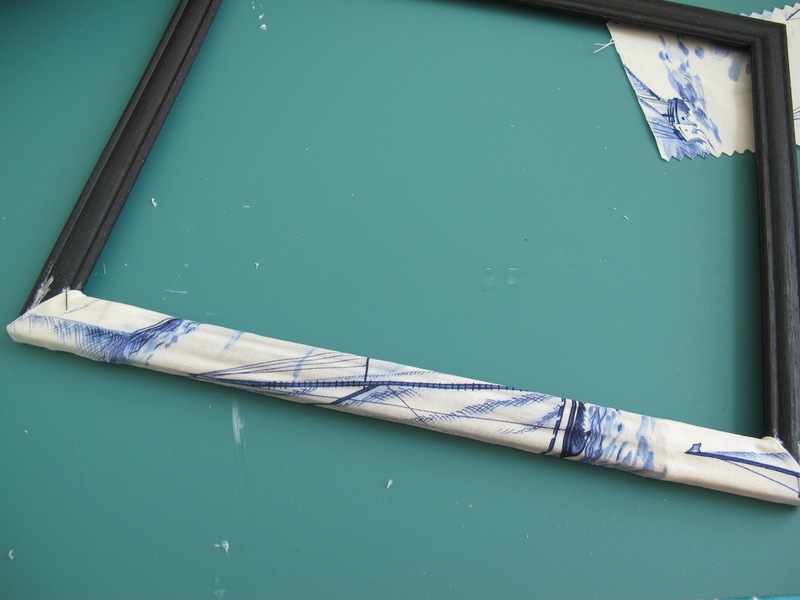 I have definitely blogged about my love for fabric and mod podge before when I made a fabric frame for our bedroom. 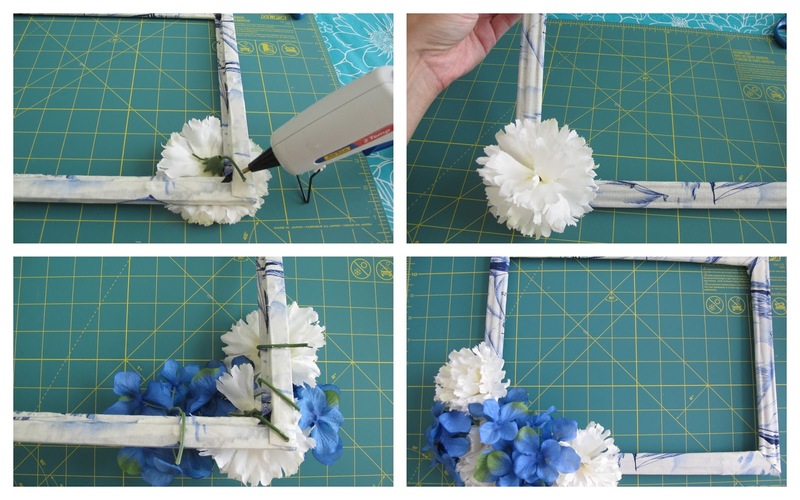 I didn't have any extra wreaths to use, so I went with the fabric mod podge idea for this project. 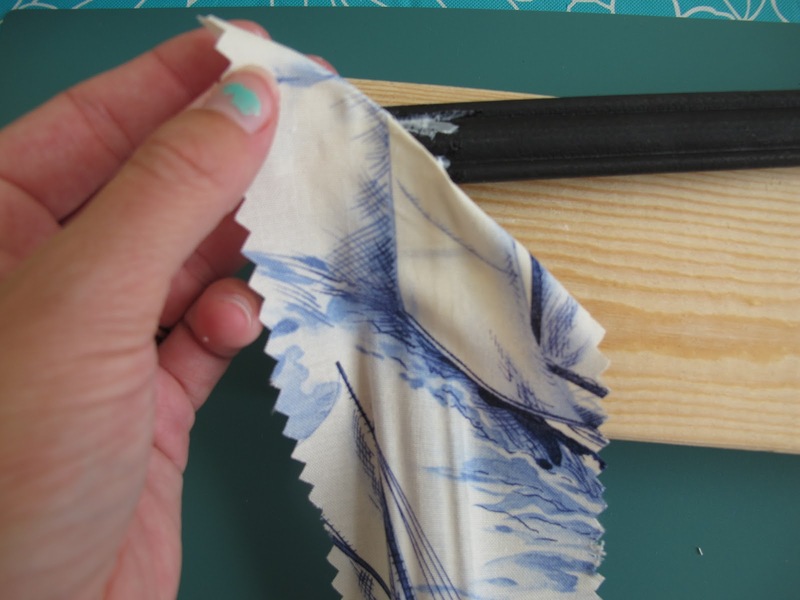 and then cover it with your fabric strips. I made sure to fold down each corner on an angle to make it look nice. 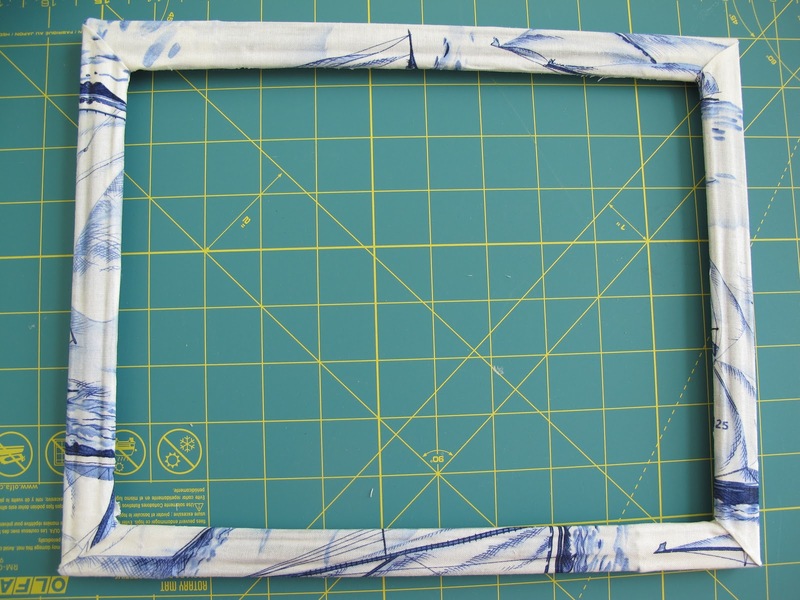 I wrapped the fabric around the back of the frame and just slathered on the mod podge to hold it in place. 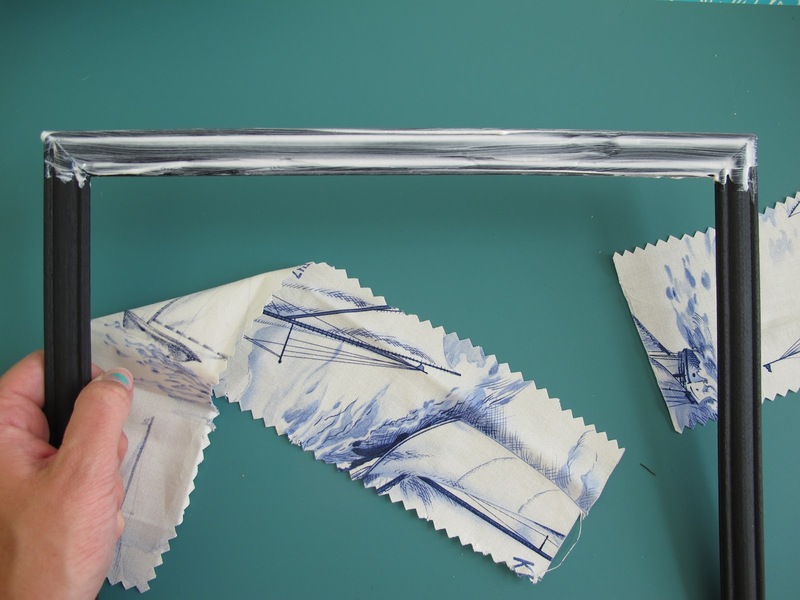 Once it's there, that fabric isn't going anywhere! Repeat this for all sides of the frame. 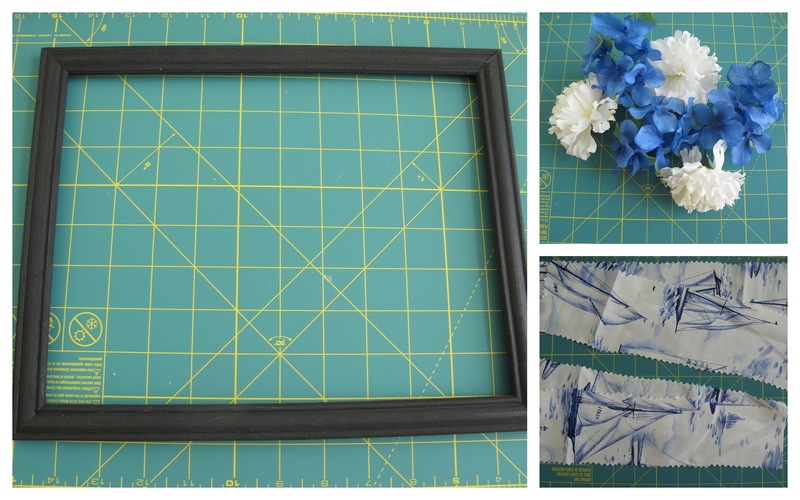 Then, I just hot glued (another crafty thing I love) the flowers to the back of the frame. 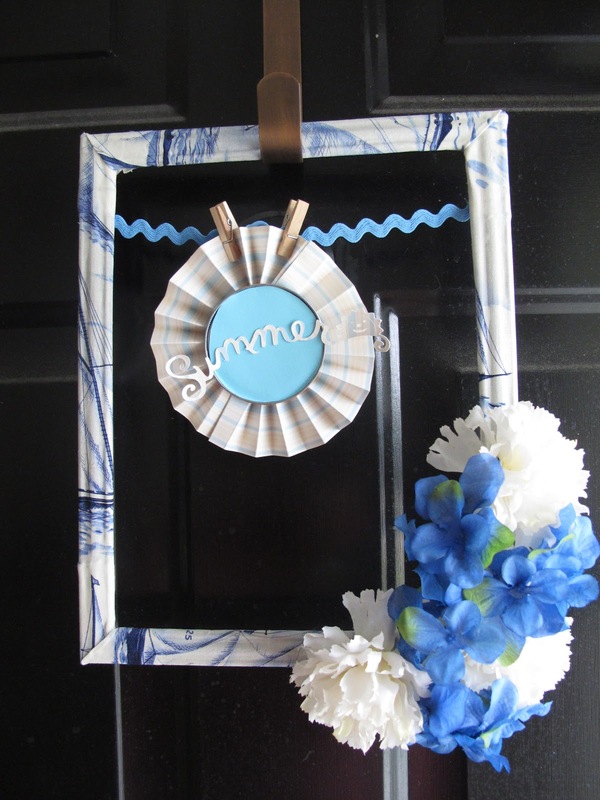 I added some scrap ric rac and a little "Summer" cut out and, voila! So easy, a 2 year old could do it! 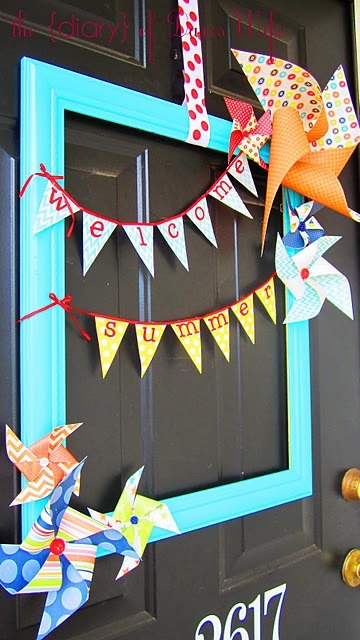 I don't consider anything I make to be amazingly crafty or unique by any means, so I thought I'd share with you some other summery wreath ideas that I found. 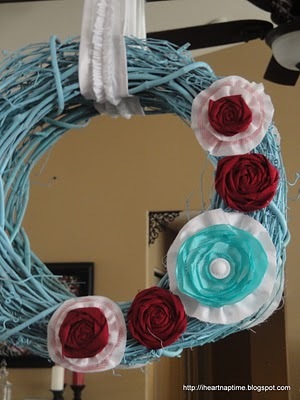 These wreaths actually are pretty amazing and unique! I didn't write out each blog because of time, but there is a link to their site under each photo. Make sure you click over and check them out! 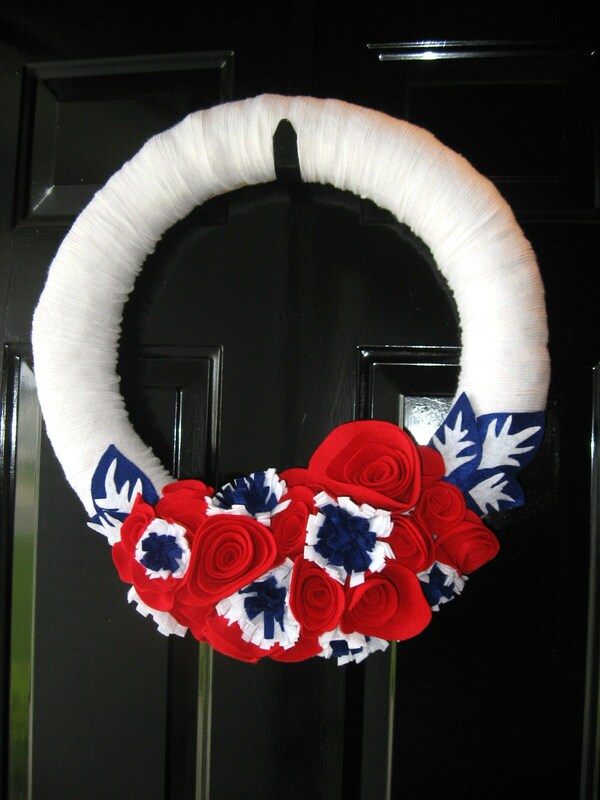 I hope these give you a little inspiration for making your own front door beautiful and patriotic this year! Super cute! Love the non-traditional type of wreath.